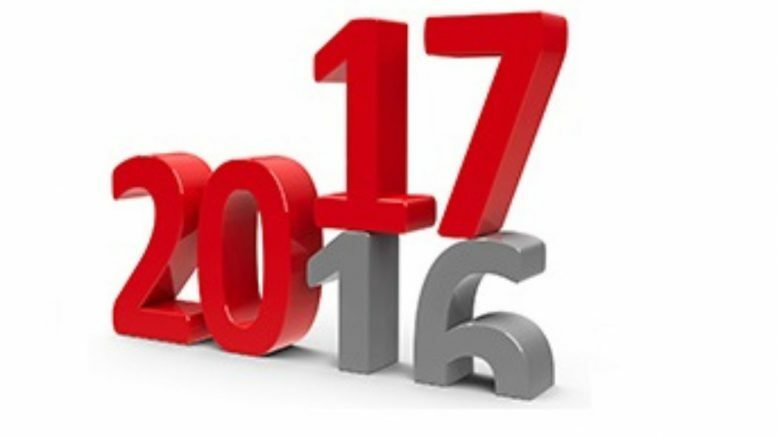 This week we’ll be saying goodbye to 2016 with a series of bests, worsts, and some fun at the expense of the year that was. Political Mystery Award… What happened to the brewing fight over Anchorage’s LGBT ordinance? Anchorage-based social conservatives threatened to put a repeal of Anchorage’s LGBT-protection ordinance on the ballot and at this time last year they seemed full-steam-ahead with the effort. They then abruptly stopped and never restarted. Where did the issue go? Word, Not Action Award… The Alaska House Majority conjured up the gimmick of creating a phone hotline so Alaskans could suggest ways to cut the state budget. 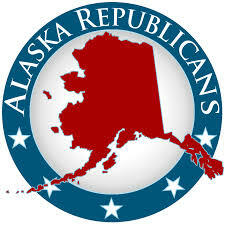 They doubled down on the gimmick by encouraging Alaskans to tweet their ideas with the hashtag #AllAboutTheBudget. The move initially looked like it paid off when the House Finance Committee unveiled its budget, including $275 million in agency spending cuts. Less than two weeks later, however, Finance Co-Chair Mark Neuman and his committee restored most of the money. By the end of the legislative session and the many special sessions, the Governor and State Senate had both gone out on a limb to close the massive state deficit while the House couldn’t gather enough votes to substantially cut the budget, enact new revenue measures, or reform the Permanent Fund, effectively punting on the crisis. All of this made clear the hashtag and hotline were merely publicity stunts. Why People Hate Politics Award… In what may very well have been the ugliest political attack of the year, the Alaska Republican Party used its official newsletter to attack a sitting male Democrat legislator and a female legislative aide with thinly veiled accusations the legislative aide’s baby was the result of an extramarital affair between the two. The incident highlighted the lack of basic decency that some in politics can develop, and why many good people hate politics altogether. With Compliments Like That, Who Needs Enemies Award… At an Alaska GOP meeting in June, Rep. Lance Pruitt gave maybe the most damaging complement of the year to Republican-friendly North Slope Democrat Rep. Ben Nageak. As we reported, Pruitt said, “Ben Nageak is probably one of the best Republicans we have.” Of course, that isn’t a vote of confidence a Democrat in a tough primary fight necessarily wants. Nageak ended up losing by less than two dozen votes, and Pruitt’s “compliment” might very well have made the difference in the tightest race of the year. Of course, that isn’t the vote of confidence a Democrat in a tough primary fight necessarily wants. Nageak ended up losing by less than two dozen votes, and Pruitt’s “compliment” might very well have made the difference in the tightest race of the year. Kamikazee Award… In late June, Gov. Bill Walker didn’t just step on the third rail of Alaska politics, he jumped up and down on it when he announced a veto of half of Alaskans’ 2016 PFD. As a result, according to pollster Ivan Moore (and every other pollster in the state), the Governor’s personal approval rating took a nosedive. Some might say this was the political blunder of the year, and they might be right, but consider that the Governor wasn’t on the ballot this fall while a lot of his GOP adversaries were. Many of them (Rep. Lynn Gattis, Rep. Craig Johnson, Rep. Liz Vazquez, Rep. Wes Keller and so on) got killed at the ballot box. As a result, the Gov. now has what many see as friendlier House leadership this session. So yes, the Governor took a hit for his move, but not the fatal one many of his opponents received. 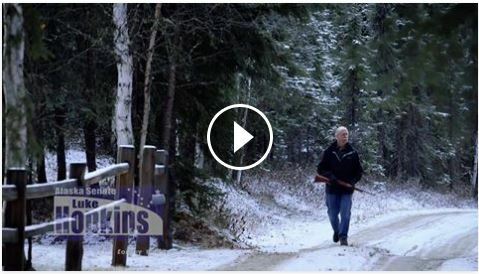 Overcompensation Award… Fairbanks State Senate candidate Luke Hopkins responded to receiving an “F” from the NRA by running this ad, featuring him walking around his neighborhood with a rifle before getting on his laptop to write a letter. The message was, what? “When I’m your Senator, if folks don’t do what I want I’ll show’em my gun. If that doesn’t work, I’ll hit them with some stern cyber punctuation”? Bad ad. Baaaaaad ad. Money, Money, Money, Money, Award… The best fundraiser in the legislature is easily Rep. Gabrielle LeDoux. She has no qualms about asking friend or foe alike for campaign cash, so much so she went where no legislator had gone before and set up her own person PAC, Gabby’s Tuesday PAC. That was a line her colleagues had been leery of crossing for fear of looking like they were selling their offices for PAC contributions. LeDoux has no such fear. She is going full out with this legal but eyebrow-raising activity. PS… Lookout Gabby, you may be the queen of cash, but Senator-elect Natasha Von Imhof has what it takes to take a run at the title. She is a member of the well-to-do Rasmuson clan, giving her connections to Alaska’s monied elite, and has shown a willingness to ask everyone and their dog for a donation. As a result, she racked up over $200,000 in campaign cash. If I Could Turn Back Time Award… Moderate Juneau Republican Rep. Cathy Munoz looked to be sailing easily to reelection until in late August it was revealed she had written letters supporting sentencing leniency for two men convicted of child sexual abuse. Munoz went on to lose the election to Democrat Justin Parish by just 195 votes. Most politicos agree that had the letters not come to light (or if she had never written them), Munoz would have won by at least 15 points. Get Him Outta Here Award… House Majority spokesman Will Vandergriff became the latest in a string of state legislature communications staffers to lose their job amid controversy after he was charged with physically assaulting his girlfriend. House Majority leaders rightly acted swiftly to fire Vandergriff, err, I mean, accept his resignation. 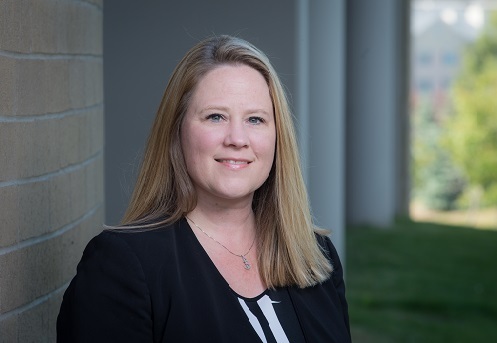 Never Back Down Award… Anchorage Assemblywoman Amy Demboski looked like she was putting the ugly memories of her Mayoral campaign in the past when she won reelection to her Chugiak/Eagle River seat by a healthy 16 points in April. Then someone gave her a radio show. Let’s all admit it, we all knew where that was headed, didn’t we? Sure enough, Demboski had Democrat State House candidate Greg Jones, who is a Muslim, on her show and asked him about some of the groups he has belonged to. Weeks later she posted to her show’s Facebook page a Fox Business story about one of those groups operating arms-stockpiling Muslim compounds in the Mat-Su. Stir in a few dollops of flame-fanning by progressive activist and writer John Aronno, an Alaska media eager to pile on, and Demboski’s own unwillingness to offer any contrition (any at all) and, boom, you get a massive controversy. Now, the reclamation of Demboski’s personal brand, and by extension her viability as a candidate for higher office, is back to square one. Who Are You Award… One of the more entertaining political dramas of 2016 was watching candidate for U.S. Senate Margaret Stock constantly try to sell Alaskans on the idea that she wasn’t a Democrat, even though the Alaska Democratic Party was letting her use their campaign database, changed its rules so she could run on their line on the ballot, and invited her to speak at their state convention. Guess who bought what Stock was trying to sell? Almost no one. Stock finished a distant third to Sen. Lisa Murkowski and Joe Miller with only 13% of the vote. This award could also go to the Alaska Democratic Party themselves. Don’t Democrats have to wonder at some point how many non-Democrats their party can back before party members start asking what the value is in being a Democrat at all? Never Again Award… This was Alaska’s first major election under Lt. Gov. 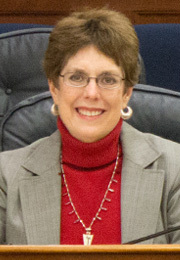 Byron Mallott’s hand-picked choice for Director of the Alaska Division of Elections, Josie Bahnke. 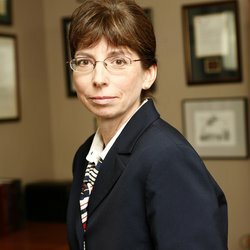 When a slew of irregularities in the state primary election came to light, she proved herself uniquely unqualified to be the person explaining the issues to the media, legislators and, well, anyone. The low point of Bahnke’s communications malfunction came during an interview with KTVA’s Liz Raines. If you haven’t seen this video, brace yourself; it may very well be the most cringeworthy interview an elections official has ever given. Bahnke may be a talented administrator, but the Lt. Governor, Governor, and/or legislators should step in to get her a spokesperson, or just put her in a different job. Elections are a core function of government that underpin our democracy. Such a gross inability to explain how they are managed damages our entire system. What Did We Miss Award… Who or what did we miss? Offer your own awards in the comment section. We may even add your suggestion to our list. Tomorrow, we’ll give you what we think was the best of Alaska politics in 2016. Be the first to comment on "The 2016 Soapy Smith Awards For Dubious Achievement In Alaska Politics"